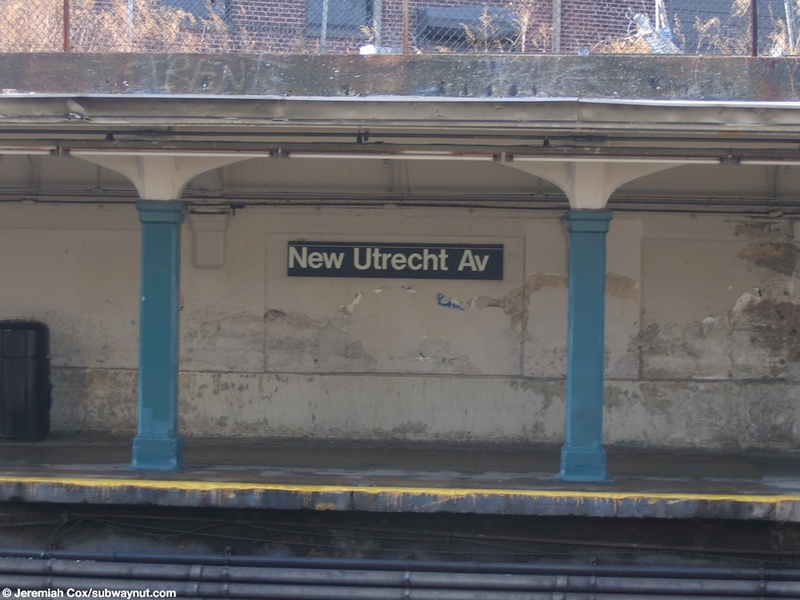 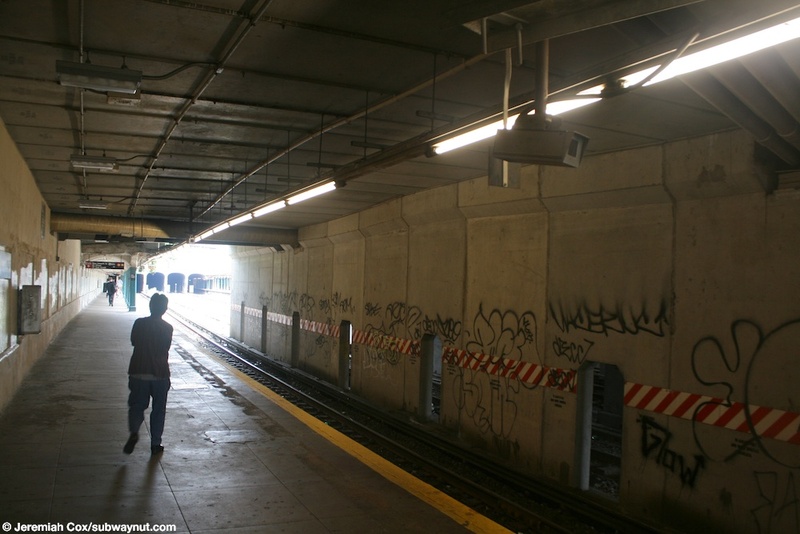 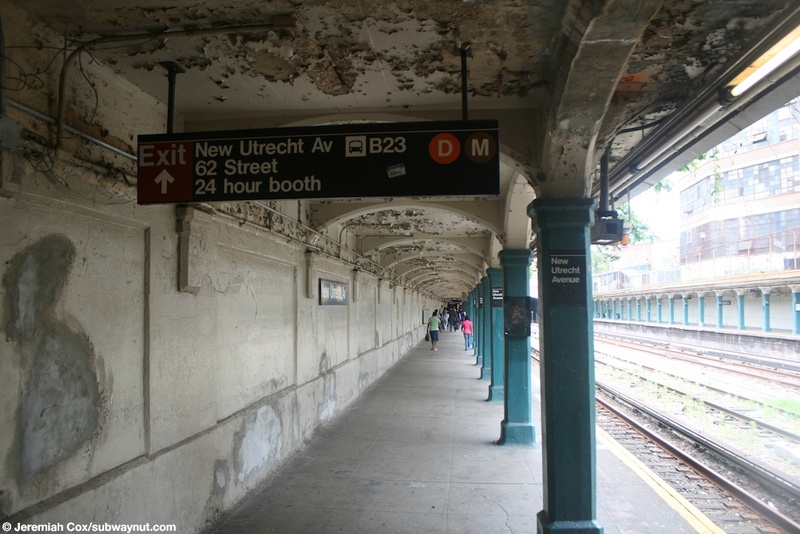 The New Utrecht Avenue is a standard trenched Sea Beach Line Station with two side platforms for the four-tracked line tucked beneath buildings that are close to the subway's open-cut. 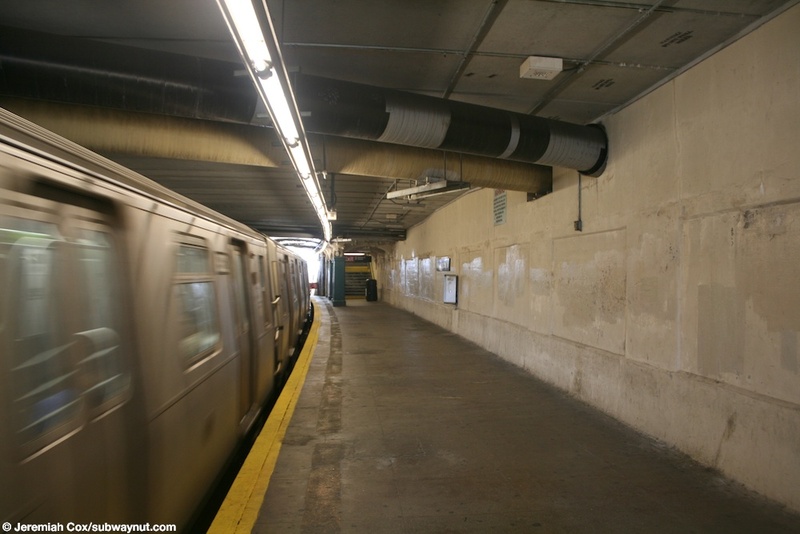 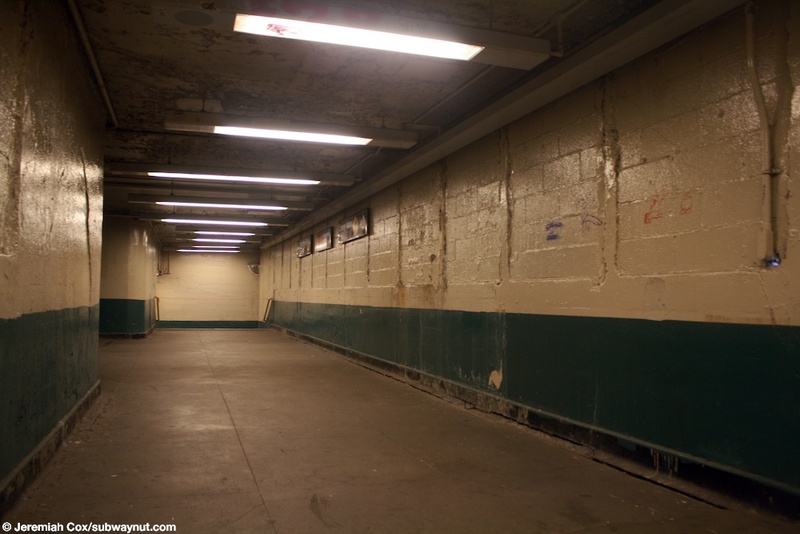 Both of these platforms have a series blue-green columns along the platform edge and peeling painted cream concrete holding up the platforms ceilings. 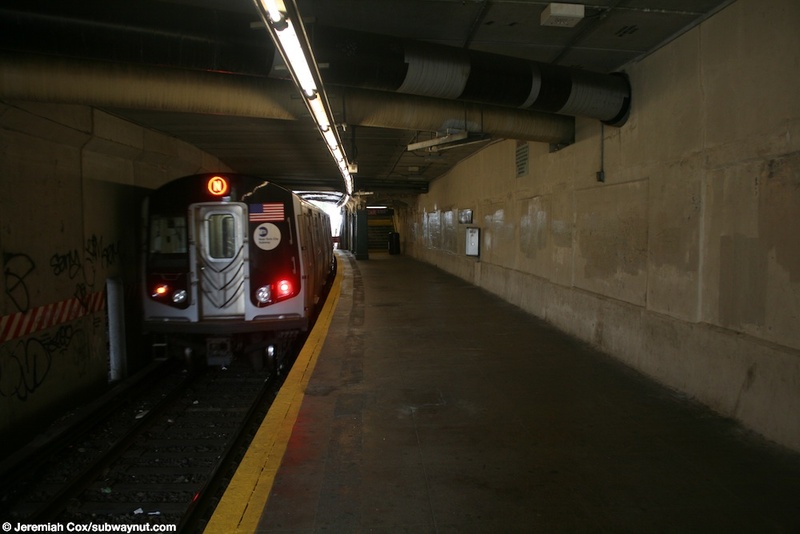 The station has two entrances one at either end, and the portion of the station around each entrance has good deal of the line in tunnels. 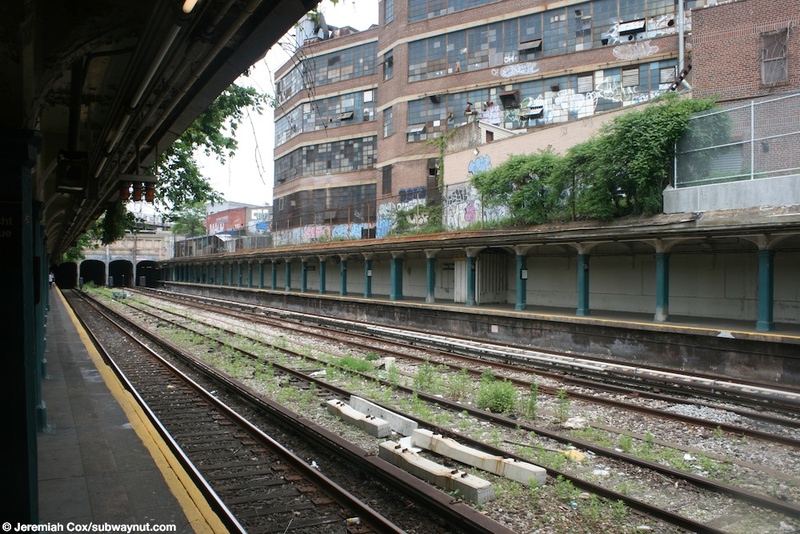 At the eastern end of the station is the entrance from 15 Avenue, located in a station house now with only high turnstiles and TVMs with a lot of the house being wasted space leftover from the days when the entrance was staffed. 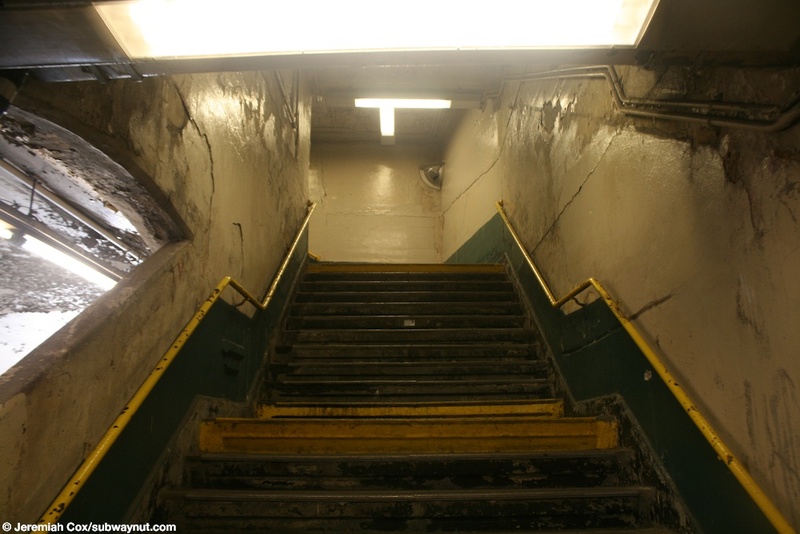 There is a single staircase down to each platform from this entrance after passengers travel through a bland concrete passageway. 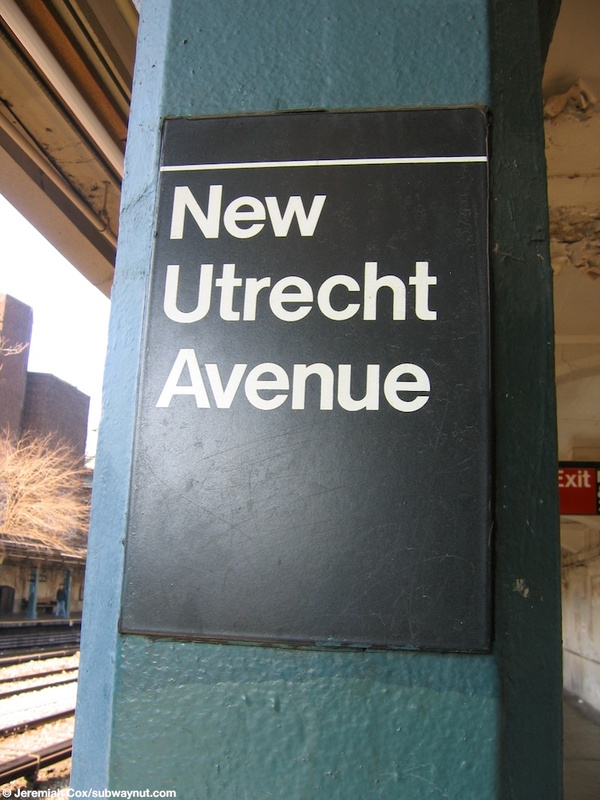 The main full time entrance is located at New Utrecht Avenue at the eastern end of the station platforms, there are two staircases up to it from each platform, along the staircases are uniquely tiled green walls. 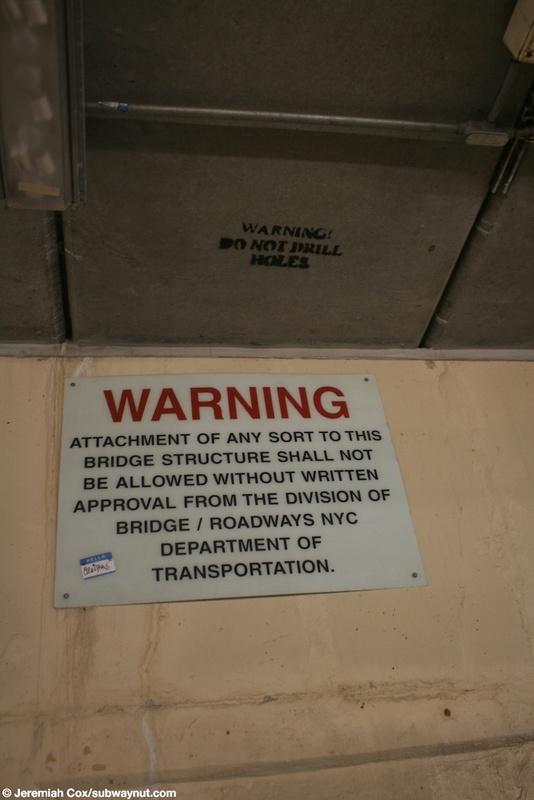 This entrance is set back from the street a bit, and there is a bus loop around it. 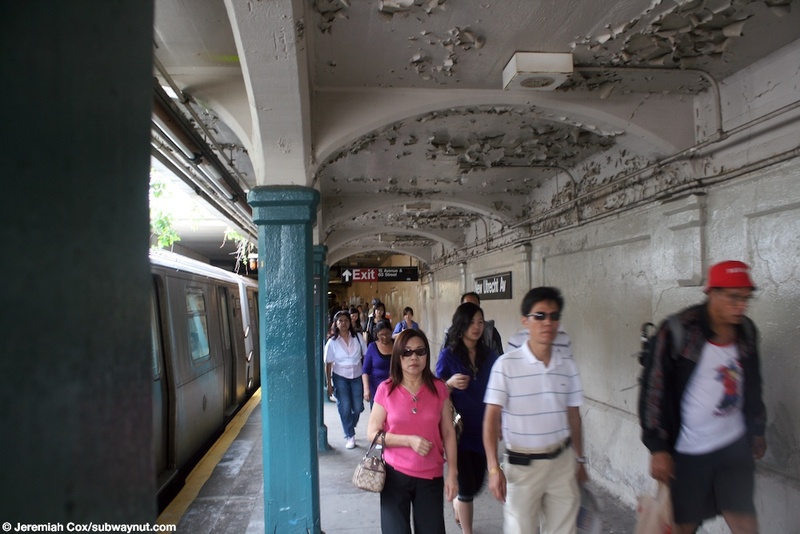 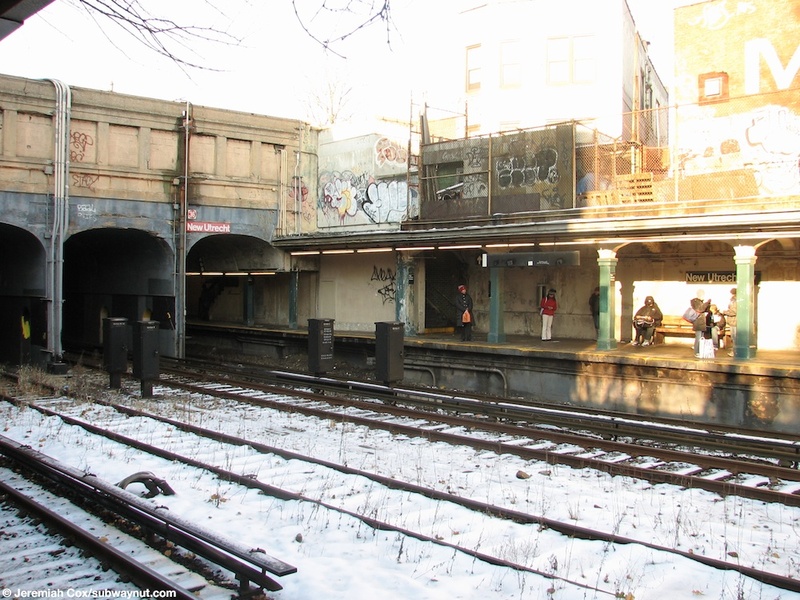 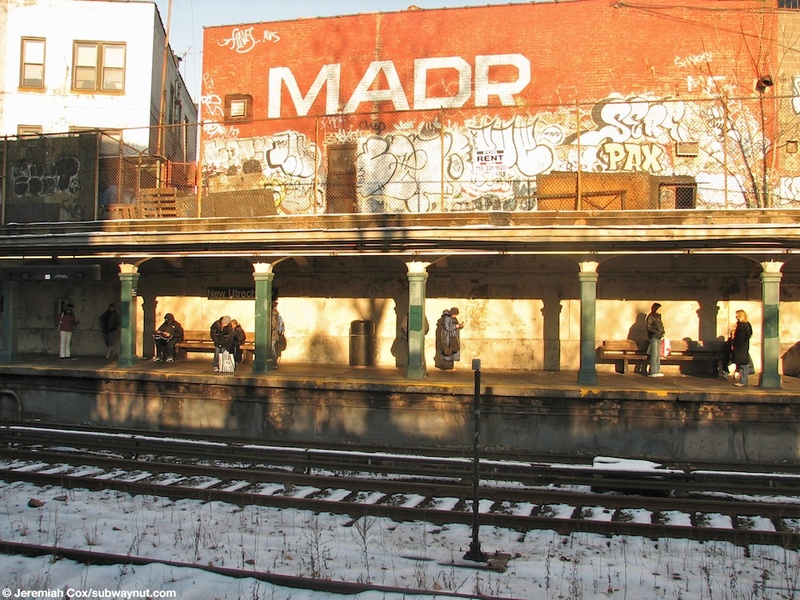 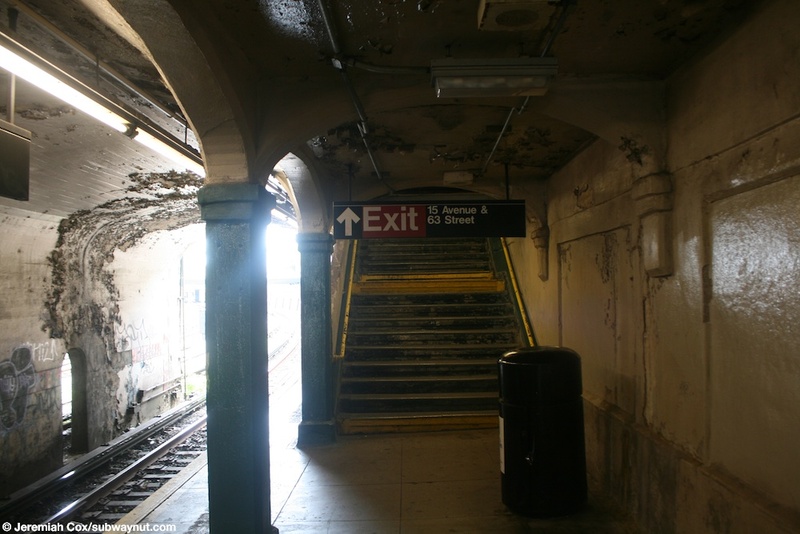 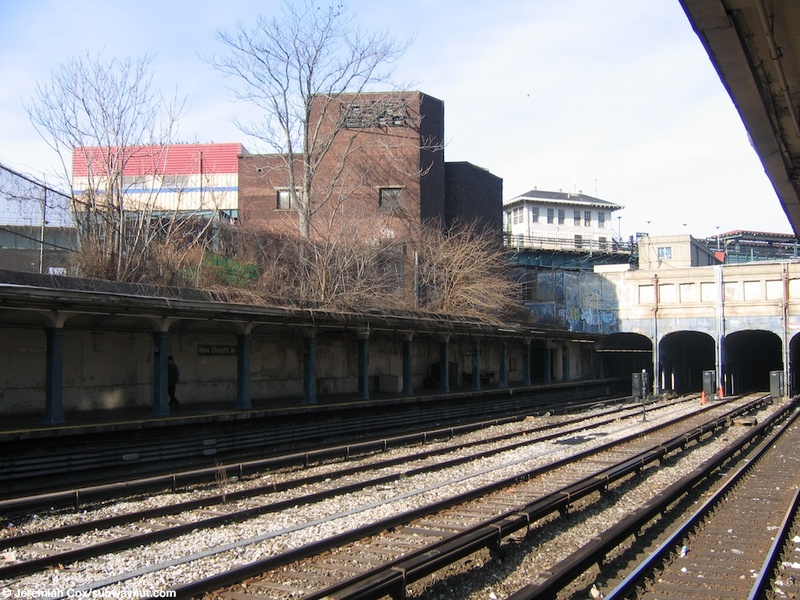 It is in the shadow of the West End lines elevated structure and a staircase leads up through the station house and out to a canopied but exposed overpass to its 62 Street Station. 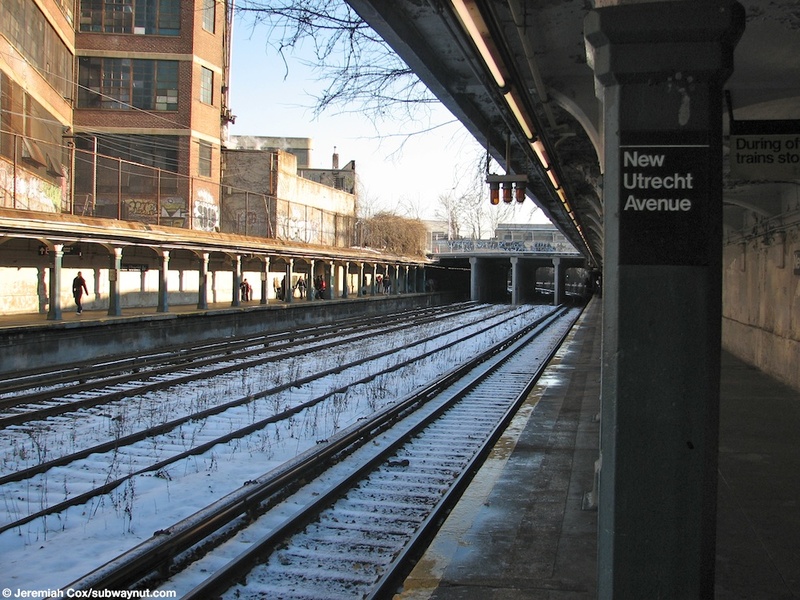 (new_utrechtn1) Trees overgrow one of the New Utrecht Avenue Platforms.